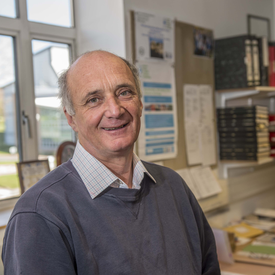 As an Emeritus Fellow, Nick no longer maintains an active research group, but has many decades of experience in this research field. Infection threads are the structures by which Rhizobium bacteria gain access to host plant cells – this is apparently achieved by a re-organisation of plant cell wall development, but the mechanism is still far from clear. Nick has a general interest in postgraduate training and career development. He previously acted as tutor for the multi-disciplinary Rotation PhD training programme and for the International Undergraduate Summer School. Nick was also involved with the BBSRC Biotechnology Young Entrepreneurship Scheme (YES) and established a similar programme in Southern Africa through links with the British Council. Borate promotes the formation of a complex between legume AGP-extensin and Rhamnogalacturonan II and enhances production of Rhizobium capsular polysaccharide during infection thread development in Pisum sativum symbiotic root nodules. Induction of host defences by Rhizobium during ineffective nodulation of pea (Pisum sativum L.) carrying symbiotically defective mutations sym40 (PsEFD), sym33 (PsIPD3/PsCYCLOPS) and sym42.